Took my TT to the dump and then loaded it and Robert Weitzel's T race car to a big car show in Woodland called Midnight Mass. 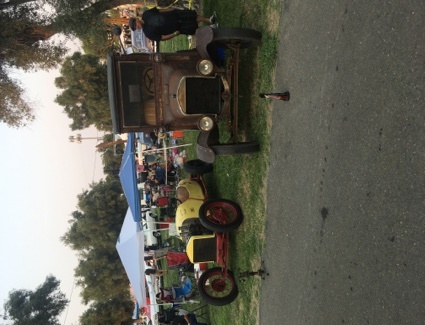 Dumpy took best of show for trucks and racer best vintage/special interest. Fun day. That might be considered a perfect day! I see a few shiny spots that need touched up. Dumpy needs to be in the next cars cartoon. When rust wins, rust wins. Now who took a dump? LOL! I like to see them working or showing off. We have been having an excellent showing with original and survivor machines lately. It is the hottest thing in the old car hobby these days. 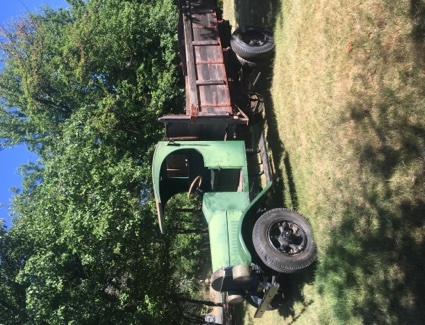 Two weeks ago I took my 1925 Mack AB chain drive truck with its faded paint and rotten flatbed to our local cruise night car show. People walk right past beautiful hot rods to watch me grab the crank and bring it to life. That Sunday it was a feature story on the front page of the Auburn Journal. 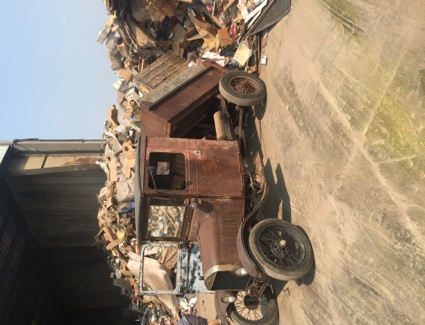 Also pictured in the article was an original paint/interior 1926 Buick that I sold to the current owner at the same event last year.